It's not just competing with fossil fuels; it's beating them. Renewable energy is currently shaking up the power sector. All over the world, countries are running days, if not weeks or months, solely on solar, wind, or hydroelectric power. Governments are betting big on renewables, creating large offshore wind turbines or solar farms. Add to this the continued record lows on solar PV prices major companies are setting. In a tender for a large solar park in Abu Dhabi, solar module manufacturing giant JinkoSolar bid what is currently the world’s lowest price for solar power: $24.20/MWh. The previous record holder for lowest bid was a bid in Chile, $29/MWh, which was set just this August, and before that, a bid in UAE was at $30/MWh. 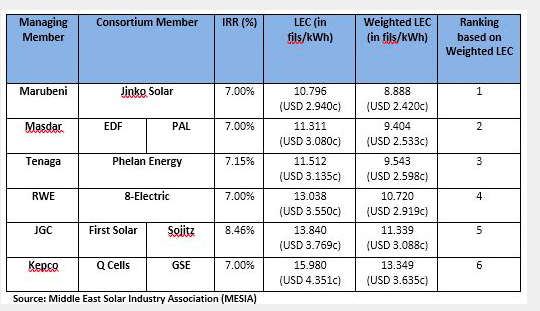 Even going that low, JinkoSolar still expects an annual return of 7 percent, so this isn’t just an example of an industry giant giving low bids to squeeze out competition. The other bidders also put out similarly low prices, and according to PV Magazine, the whole industry is showing that it can compete with fossil fuels, with solar prices dropping over 80 percent in the last five years alone. This all comes at a time when oil prices are also experiencing record lows, which should mean less of a demand for renewables, right? In theory, yes. But other factors are making renewables more competitive than fossil fuels. Government policies are promoting greener energy, with green industries getting subsidized and incentivized. Consumers and businesses are showing strong support for green initiatives as well, but the real reason renewables are booming comes down to one simple fact: they’re cleaner. These green energy sources help clean up the Earth and curb climate change, and now that the green industry is getting financially competitive, renewables are no longer just healthy for the environment, they’re also healthy for the bottom line. If you can choose a clean option or one that has a negative impact on the planet, why choose the latter?